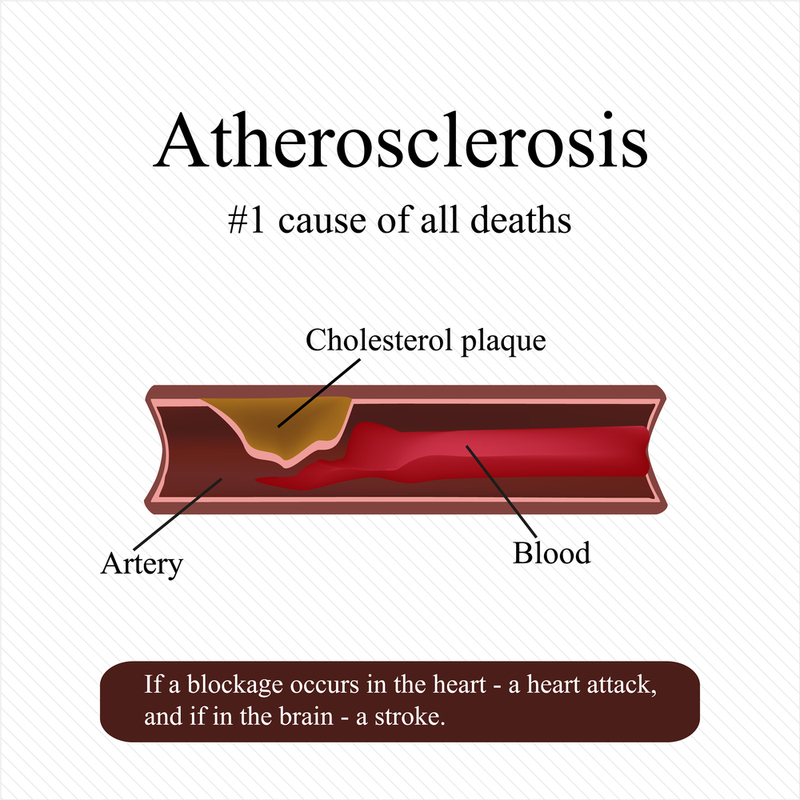 Sometimes called “hardening of the arteries” is the process of fatty substances like cholesterol, cellular waste products, calcium and fibrin (a clotting material in the blood) building up in the inner linings of the arterial walls. The build up that results is called a plaque. It narrows down the arteries and makes them less flexible.